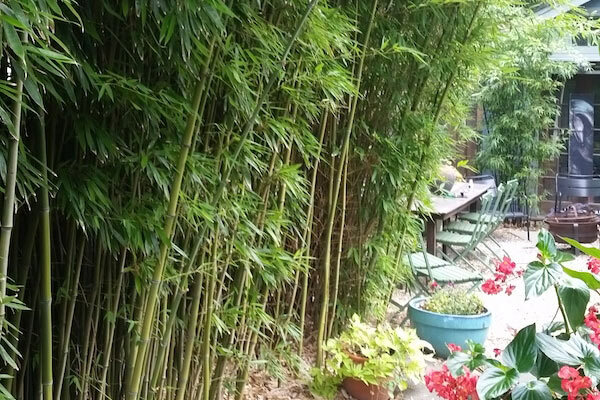 NJ Bamboo specializes in bamboo privacy hedges and cold hardy bamboo plants. NJ Bamboo is the most experienced bamboo removal, containment and maintenance company in New Jersey and our service area includes Pennsylvania, New York, Delaware and Connecticut. 2019 Season has Started! Book Today. Bamboo can be planted to create thick, dense privacy hedges in a relatively narrow space. By containing the bamboo plants within rhizome barrier to control underground root growth, a thick tall hedge will grow in few short seasons. The evergreen bamboo species we carry grow to mature heights of 6 to 12 ft for clumping and 18 to 35 ft tall for running varieties. All the plants on sale are transplanted and cared for in pots in advance of your purchase to insure a healthy built up root mass and no transplant stress. 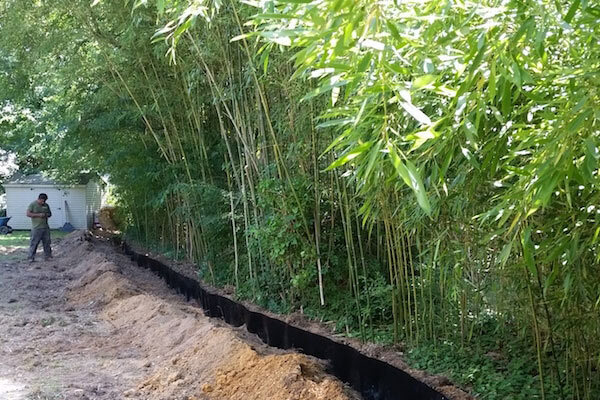 Bamboo containment can be achieved through the use of a rhizome barrier along a property line or to surround the bamboo entirely. NJ Bamboo is a national leader in containing bamboo, installing over a mile of rhizome barrier in 2015 throughout NJ, PA, NY and DE. NJ Bamboo containment and control options comply with all state and local bamboo ordinances. If you have received an ordinance violation we can work with your town and zoning officer to remedy the problem and bring your bamboo back into compliance. NJ Bamboo provides lifetime guaranteed bamboo removal services. 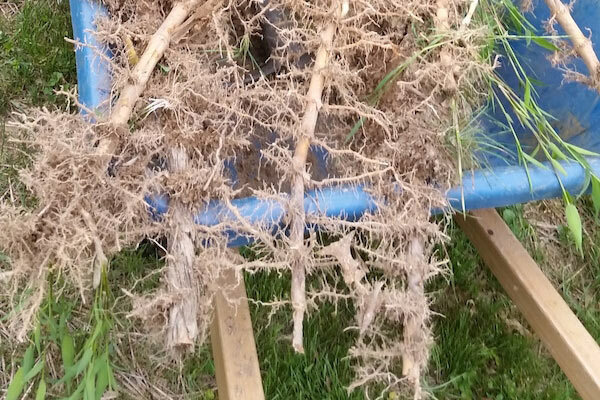 Whether you inherited the bamboo problem from a previous homeowner, or forgot to read all the instructions when planting, NJ Bamboo provides efficient and environmentally friendly removal techniques without the use of chemicals. Our removal practices and lifetime guarantee comply with all municipal bamboo ordinances in NJ, PA, NY, DE and CT. Contact us today for a free on-site consultation. Everything turned out great. The guys came and removed all the bamboo from my yard. They’ll return next year to make sure there’s nothing left.